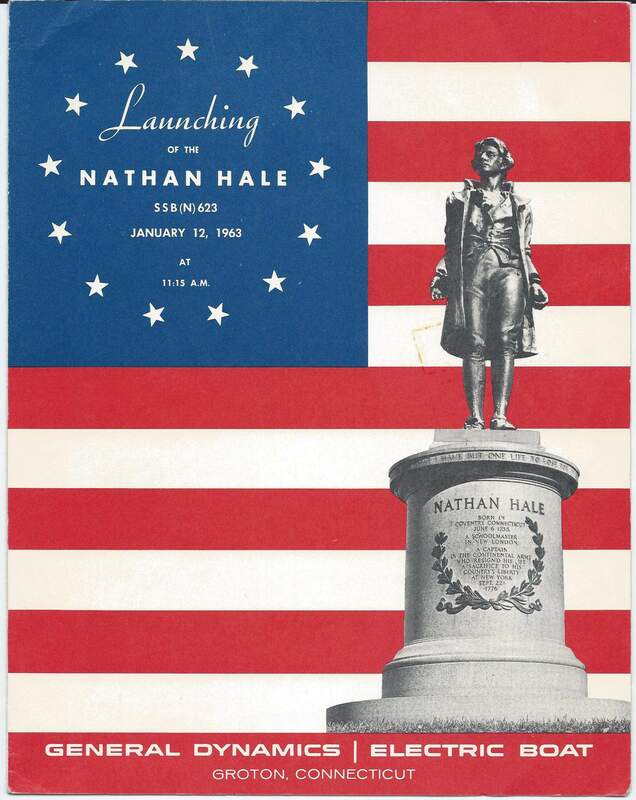 Writing about the USS Nathan Hale has been a bit of a challenge for a number of reasons. The story of the ship itself is not that difficult even though there is not a lot of information available on the life of the boat. The difficult part about this story has been separating fact from fiction. Nathan Hale is arguable one of the earliest American heroes and I have spent the past four weeks going through many historical documents to try and piece together the real story of this great man. NAMED FOR Nathan Hale (1755—76), a young schoolmaster who, by the manner of his dying in the cause of liberty, taught Americans the true meaning of love of country. The soldiers of the Revolution under Washington’s command were engaged in the ﬁrst enterprise jointly undertaken by all of their 13 home States. They had need of a hero who would symbolize the Union they were bringing forth by their common effort, their common suffering; a hero who would put into words their still inchoate sense of devotion to this Union that was slowly and painfully evolving out of their shared experience. Nathan Hale was their ﬁrst national hero. His story was simple; his life brief. There was time only for a single heroic act. But it was enough. Yes, the heroic act was enough to start a few centuries of memorializing by a number of different authors, politicians, poets, and patriots. Beginning in the 1840’s entire books were written about his heroic exploit and tragic death. Unfortunately, the authors felt the need to continue to add to the story as the decades passed. By the 1900’s many questionable details began to be added to his remarkable story that had very little linkage to some of the earliest recordings. In the end, what was said by him or to him in the final hours of his life is still the subject of debate. But my intent is not to question any of that or his most famous words. I can only say that I am confident that he did die for his country and he more than likely uttered something close to the lines always ascribed to him. 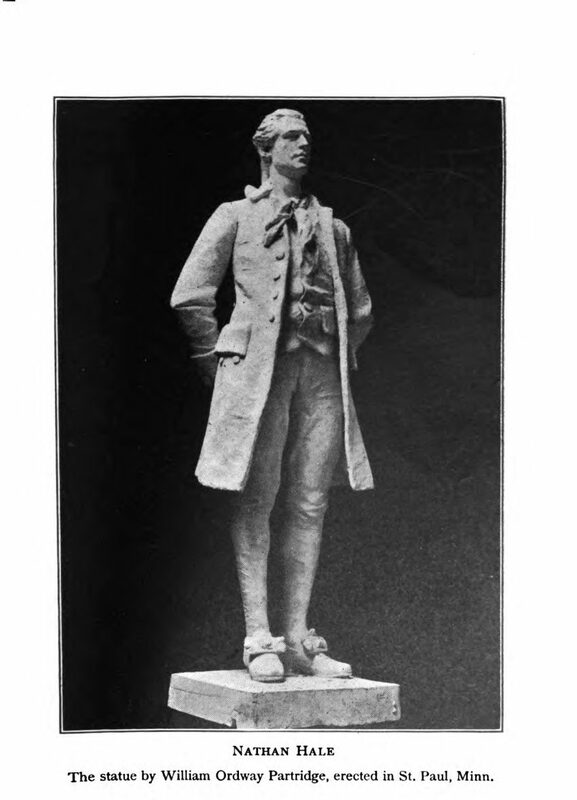 Nathan Hale, born in Coventry, Connecticut, 6 June 1755, graduated from Yale College in 1773. Two years later, as residents of the colonies pressed for the rights of Englishmen, Hale, a teacher, was appointed a lieutenant, by the Connecticut General Assembly 1 July 1775. The school Nathan Hale taught at was in New London Connecticut. He was twenty years old when he was commissioned (The age of many of the men who would later man the submarine named after him). As the fight for English common rights turned into one for independence, he fought with the Continental Army in the siege of Boston and was later chosen as one of the captains of Knowlton’s Rangers. Volunteering as a spy for General Washington in the summer of 1776, he went to Long Island disguised as a Dutch school teacher. Memoir of Captain Nathan Hale … Babcock, James Staunton, 1815-1847. 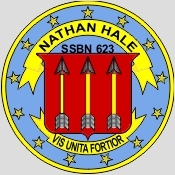 USS NATHAN HALE was the sixth LAFAYETTE – class nuclear powered fleet ballistic missile submarine. 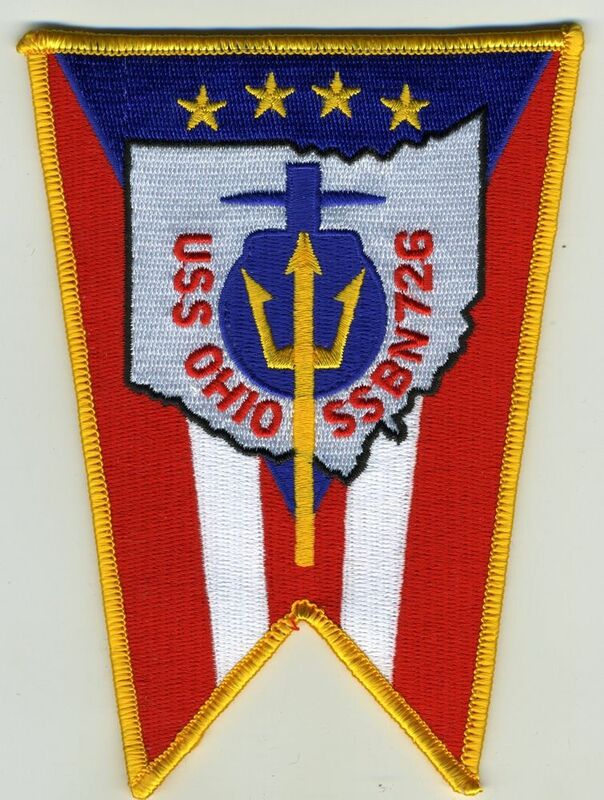 Following shakedown and demonstration-and-system operations, in the Atlantic Missile Range, Nathan Hale was assigned to SubRon 16 and homeported at Charleston, S.C., 21 May 1964. With two complete, equally trained crews, rotated at regular intervals to maximize patrol “on station” time, Nathan Hale has, since that time, conducted deterrent patrols as a unit of the Atlantic Fleet. Deactivated while still in commission in May 1986, the NATHAN HALE was decommissioned on November 3, 1986, and stricken from the Navy list on January 31, 1986. 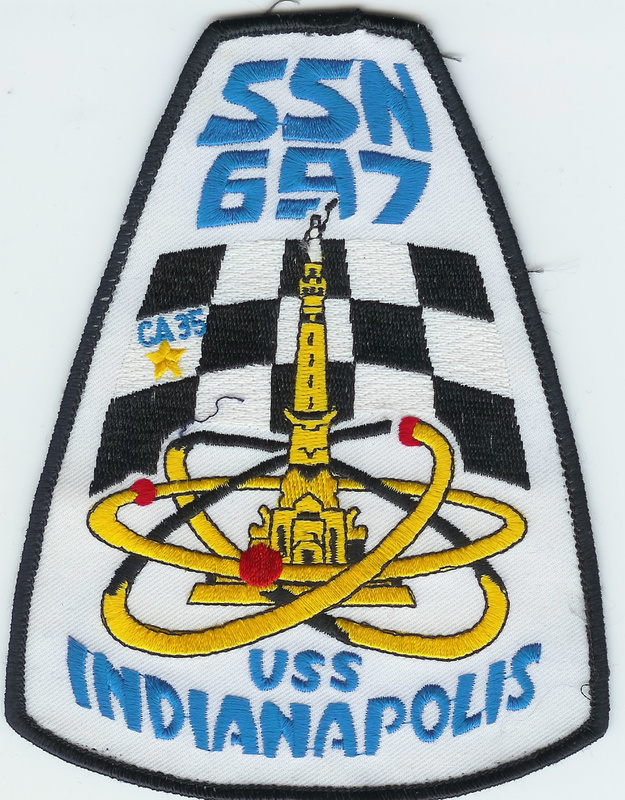 She went through the Navy’s Nuclear Powered Ship and Submarine Recycling Program at Bremerton, Washington, from October 2, 1991 to April 5, 1994. On the latter date, the ship was classed as scrapped. 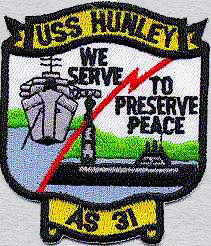 I served six patrols on USS NATHAN HALE from 1965-68. Great post. Thanks.